Nowadays you will see the term “effective” thrown around a lot in animal advocacy circles. Where I have seen it most often is among those who claim that it’s more effective to ask people to reduce their animal use rather than eliminate it. In other words, they claim it is not effective to ask others to go vegan. Let us assume for a minute that asking anything less than veganism is immoral (and that veganism is the moral baseline). Let us, however, at the same time assume – for the sake of the argument – that asking “things less than veganism” leads to a higher reduction of animal suffering and killing. What, in that case, should we prioritize: the morality of our outreach, or its impact? In other words, should we – again assuming for a minute that we know for sure – use a less effective message because we believe it to be a more moral one? The remainder of the article continues with this hypothetical premise that asking others to reduce their animal consumption is more effective than asking them to go vegan. The problem with this is that there is no actual published science (or even unpublished research that I’m aware of) indicating that this is more effective, just highly debatable speculation about why it may be more effective, which in my opinion runs counter to what clinical psychologists have long known about how to promote true behavior change. There has also been a proliferation of very biased non-published, non-peer reviewed research that I have recently criticized as being pseudo-scientific. What’s most troubling about this research is that the conclusions tend to always be in line with the advocacy method of choice for most animal advocacy organizations, suggesting that we should ask others to simply “cut down” on their animal exploitation, even when the data does not support such conclusions. In fact, for one of these studies the data seemed to indicate the opposite—that promoting veganism may lead to the greatest long-term change. While this is a worthy goal, the problem is that there is no credible, peer-reviewed quantitative scientific evidence to indicate that any organization is more effective than any other. Thus, we run into a “garbage in, garbage out” scenario where the conclusions drawn are of questionable validity because the data used in the determination of effectiveness are nonexistent or faulty. Again, groups who promote veganism as an issue of social justice are not included in the list of top charities. The picture that emerges from the above is that there seems to be this false claim of “effectiveness” among those attempting to push the notion that we should avoid asking others to go vegan. We need to be mindful of the source of such claims. If animal advocacy groups can claim that their method of reducetarian advocacy is “effective,” they can then engage in such activities that will not upset their donors. In other words, they can have their cake and eat it too. They can convince the animal advocacy world that they’re engaging in effective animal advocacy while also bringing in more and more donations from non-vegans who appreciate not being asked to go vegan. I don’t claim to have any insider knowledge of the true reason for why there seems to be such misuse of the word “effectiveness” when referring to animal advocacy, but I can say for sure that it does not help the animals. If we want to make claims about effectiveness, we should be conducting randomized controlled clinical trials to truly determine the most effective methods. The resources and the research methodologies are there. We just need animal advocacy groups to put their money where their mouth is if they want to make claims of effectiveness. We should conduct scientifically honest and rigorous research into animal advocacy or stop talking about effectiveness altogether. We must also keep in mind the limitations of our research methods. For example, it may be possible to demonstrate that one form of advocacy is associated with greater short-term reductions in meat and dairy consumption than another among some individuals, but that tells us nothing about whether these individuals go vegan long-term. Creating life-long vegans should be our end goal since this has the greatest potential for minimizing harm to animals. Moreover, if we continue to promote the notion that it is acceptable to exploit animals in moderation, we fail to challenge societal norms that make all forms of animal exploitation possible, ensuring that we will never see the end to all animal use. 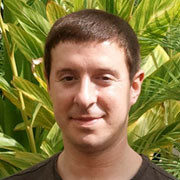 Casey is co-owner of Vegan Publishers and Professor of Psychiatry at Boston University School of Medicine. He’s an internationally recognized researcher in the area of violence prevention, winning prestigious awards for his work from the International Society for Traumatic Stress Studies, the Institute on Violence, Abuse and Trauma, and the Centers for Disease Control and Prevention. He has published over 100 journal articles, book chapters, and scientific reports, and has a book forthcoming on trauma-informed violence prevention, published by the American Psychological Association. WE MUST BE AWARE OF THE RAMIFICATIONS OF ADVERTISING…WE ALL HAVE TO TAKE RESPONSIBILITY! “We watch and laugh at television ads of singing cows, dancing chicken carcasses and dieting sharks, and movies and animations of talking, humanized animals. This is not how animals act in reality. This shows disrespect for our fellow creatures, and false representation. It desensitizes people to the reality of the harsh and cruel conditions behind the camera. Humans will deny and even defend animal exploitation to validate they believe we are a race of carnivores and to eat meat is a right of our nature. Animals, in advertising, are depicted with distorted images, mocking caricatures and put into ludicrous roles. They are thought of as drastically inferior and lacking brains and senses. …Simply for reasons of kindness, empathy and understanding. excellent article and spot on Casey. having been banned from Tobias’s blog for disputing his speciesist methods of advocacy, along with the other welfare groups who have similar philosophies, i greatly appreciate your speaking the truth on this matter. Absolutists realising that their intolerant ways are getting ditched for more reasonable and pragmatic methods trying to fight back. You say VEGAN abolitionist are intolérant? But how could you tolerate the slaughter of 60 BILLIONS animals every year (2500 every second) .killing is wrong !! Period and YES VEGANISM IS THE MORAL BASELINE. are you suggesting that one should be tolerant about violence, torture and murder? i guess we should just ask serial killers of humans to kill a little less often or not to torture their victims too much before they off them. i can’t help but wonder if you would have the same opinion if you yourself were a victim of exploitation and murder? If you think that it is “reasonable” to suggest that people continue to unnecessarily kill nonhuman animals, then you clearly don’t view animal abuse as a social justice issue. If you think “tolerating” needless animal abuse is something that advocates should strive for, I fundamentally disagree. 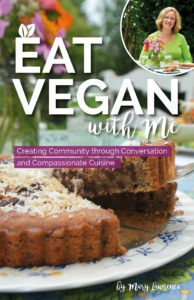 Believe it or not, it is quite easy to talk to non-vegans in an understanding and empathic way, while at the same time encouraging them to go vegan. The two are quite compatible. We can be kind to non-vegans while encouraging them to match their behavior with their ethics. We do it all of the time on our page and people often tell us we helped them go vegan- almost every day. But then, this article isn’t even about that. It’s about the misuse of scientific language by a segment of the animal advocacy community. Everyone has a different style, of course, but promoters of veganism can be “pretty intense.” Sometimes an uncompromising style of debate is the only thing a prospective listener can see or hear; the method can obscure the goal. In this blog, those who are portrayed as preferring compromise are also portrayed as having compromised their goals. That’s a mistake. Sometimes, their only compromise is in the way they approach and talk with people from different backgrounds and points of view. Their goals may be absolutely vegan, but their methods may seem to be accepting of something short of the vegan ideal. They’re patient with the gradual process of presenting and developing attractive new points of view. I’ve seen them reach people with their vegan ideals in cases where their “uncompromising” counterparts have failed. “Pragmatic”? Where is the evidence? Thank you for this article, Casey. It is well written and clear. I too have questioned the “research” done so far on “effectiveness”. Without a doubt we need to have a non-aggressive, collaborative approach to advocacy. But that needs to be done without compromising what we are trying to challenge. We are trying to challenge the property status of animals. Asking people to just reduce their animal consumption does nothing to change the status of animals as objects to be owned. When it comes to animal liberation, either we see our fellow animals as sentient individuals whose desire to live should be respected, or we don’t. It’s nauseating to me that some suggest it is “effective” to excuse the consumption of other people’s bodies six days a week, or after 6 p.m., or whatever other “reducetarian” strategies are currently in fashion. As allies, we need to speak from the animals’ perspective, and no animal would be OK with the suggestion that they or their friends and family members be killed for their flesh, eggs, or milk any percentage of the time. Activists need to tell everyone the whole painful truth about animal farming, without strategizing to make part-time killing more palatable. Great article especially as people like Mister Tobias have way too much influence overh ere in Belgium!But as for ‘peer reviewed studies’: there is a lot of crap in those studies too (it’s based on an incrowd selecting publications in a incestuous way), in fact to my knwoledge peer reviewed study will only allow research that confirms status quo rather than be revolutionary. Found out myself when the results of my Phd were soon put into oblivion! ‘peer review ‘ is a typical invention of the peopel who to maintain the status quo of society! This is the classic argument for idealism over pragmatism. For me there is a place for both and in my experience individuals tend to be attracted to the type of activity that first caught their own attention. Some people will respond to the go vegan argument – but as we can see from the low numbers of vegans around, not that many. So what do we do with those who will never consider giving up eating animals? I’d say getting them to cut down is better than nothing. Despite the dismissal of Nick Cooney’s research on this site, it is case that most people who go veg*n don’t stick with it. To ignore (or ridicule) the many, many people who find it unappealing/difficult and give up is a mistake – so given that I think there is a strong argument for not simply calling for everyone to go vegan but to work in other ways to protect animals. One eg is working to change the legal status of animals. In that way animals are not dependant upon individual’s choices/whims, but would be protected by deep structural changes to policy and law. This is especially true of animals used in non-food areas such as vivisection, zoos etc. It’s sad to see so much energy expended on this never-ending circular argument about idealism/veganism versus any other efforts to create change. It’s great to campaign for people to go vegan, but what I see is those who focus on this approach spend most of their time attacking others who dare to disagree. Hi Angela, your response makes me wonder whether you read the article. I avoided getting into details about which approach is most defensible- it focused on the misuse of the word “effectiveness” in animal advocacy, citing the lack of actual peer reviewed evidence to back such claims. That was the focus. I’ve yet to see anybody come back with actual published research that counters what the article said- just vague claims that there is a lot of evidence out there without producing any such evidence. If you want to know how I think we should others go vegan, I have written an article on that topic, here: https://veganpublishers.com/how-do-we-best-promote-veganism-a-psychologists-perspective-casey-taft-ph-d/. I agree that we need to find a way to reach those who are at different stages of readiness for changing, but we should do so while still encouraging them to go vegan. There is nothing to be gained by pretending that veganism is not an issue of social justice to try to “trick” people into taking baby steps. The truth is, and the HRC study results suggest this, that if we can help people make internal change by emphasizing meaningful ethical issues, the person is more likely to make meaningful long-term change and stick with it. I fully agree. We are advocating for veganism, primarily as an ethical issue to help animals. But when ever we are evaluating what is ‘most effective’ in vegan advocacy, there will never be any ‘peer reviewed proof’ of what does or does not work best. This is because, despite there seeming to be some commonality, this social justice movement is quite differ from any in the past. This one involves more than 95% of the population (in most societies) taking part, many times a day, in the exploitation and murder of innocent beings. This one involves the highly volatile concept of cognitive dissonance, which can and does often drastically affect one’s ability to reason clearly. This one involves trying to alter or totally change the core values of 95% or more of the population. The BEST we will ever be able to do in predicting ‘effectiveness’ of advocacy methods is to rely on past studies that focus on changing the core values of people. There ARE some studies in that regard, if you care to look. Some are summarized in Veganomics. Others are discusses and utilized in advocacy by people like Dr. Melanie Joy. Please don’t try to discount what others promote as being effective simply because you want to rigidly adhere to the ‘peer review’ principle. Vegan advocacy is a different social movement level in a number of ways, primarily because it involves the largely unrecognized underlying factor of speciesism, a core value (whether or not recognized) of the vast majority of the population. While trying to get people to see the ethical inconsistencies (hypocrisy) between their proclaimed love of animals and their actions that hurt and kill animals can be a motivation for permanent change in some people, others will never come to that understanding because of the strength of their cognitive dissonance. For those people, who make up a lot of the population, I don’t believe that the animals would really care WHY they reduce their consumption of animal products, only that they DO reduce that consumption. In summary, the ‘ethical baseline’ approach of veganism should never be dismissed, but it should also not be exclusively promoted IF our goal is to reduce, to the highest degree possible, the world’s total use, abuse, and murder of animals. Jeff, thanks for your comments. I agree with much of what you say but I don’t agree that there is no way to do credible, peer reviewed research showing the impact of advocacy. Just like I have done randomized controlled trials showing that certain ways of working with those who engage in interpersonal violence help reduce violence, the same can be done for animal advocacy. Much more can also be done about how we can impact other’s attitudes and behaviors as well, beyond randomized controlled trials. The truth is that the research out there on this topic is simply awful and doesn’t conform to basic principles of conducting science. I think part of the problem is that in this field, non-scientists are pretending to be scientists. The folks who are doing this “research” don’t have any training to do so beyond what they learned as an undergrad, for the most part. That would not be permissable in any true area of science and it shouldn’t be done here. People who claim to do science should be trained to do so, in order to do credible work that considers the myriad factors we much consider when doing this kind of work. There is a reason that people study this kind of things for years before they can be considered credible experts. Why don’t animal advocacy groups bring in highly trained experts to help them do their research? But if I take your opinion as truth that this kind of work isn’t possible, I would say that’s fine, so let’s not pretend like there is true scientific evidence out there demonstrating that one method is more effective than another. That was the focus of my article. Too many people claim that their approach is “effective” and “based on science” when it is simply not. We can’t take theories and literatures from entirely different populations and then inappropriately distort and generalize them to animal advocacy without doing the science. It is beyond a huge stretch and is irresponsible. It does nothing to help animals when we inappropriately use the language of science to try to bolster our arguments to try to convince others to do things our way. We need to do actual science the right way if we want to talk about effectiveness. I did read this article, I also read some your other pieces – and my response was a general one to the whole focus on changing people’s behaviour by making them vegan (which I don’t believe is most effective). I can’t help but note that those who promote vegan behaviour change spend so much time saying “there is no proof that other approaches work” While there’s also no proof that this approach works either. Jeff, above, is correct to say there won’t be any peer reviewed proof that any of the approaches work – and that’s because we are failing to make much progress for animals – at the moment no approach is really working. When/if we do make real progress I suspect it will because of a range of approaches – each working for different audiences and where they are on that journey – if they’re on it at all. And I suspect that environmental issues might end up being the main driver rather than ethical veganism. At the moment the much of the movement is focussed on trying to protect animals from the treatment they receive AFTER the decisions about their treatment have been made, in policies and laws. To my mind we need to affect those decisions in the first place, so the focus is on the state rather than individual behaviour change. Obviously they’re not mutually exclusive which is why I’m sad to see so much disagreement about this. I would like to see less attacking of other approaches and more getting on with the path each of us chooses without rancour to others. Is it possible that we’re all correct – different strokes for different folks? But with the absence of proof (if you dismiss the research Jeff mentions, but which I find rings very true with own experiences) no one can say what’s most effective. So the argument seems futile – and needlessly divisive. Put your talents and energy into something more positive instead maybe? Angela, the difference is that those promoting veganism are not making false claims their approach is science-based. That’s the point of this article, the misuse of scientific language. I don’t know how I can be more clear about that. And by all means, if such research exists, like you claim, please pass it along. I’d love to see it. Instead, all I see are vague claims of research evidence without providing any citations or links, etc. I’m pretty sure that if research showed that avoiding asking folks to go vegan led people to veganism, I would have heard about it from one of the critics by now. You are making the very mistake I criticized in this article. And yes, let’s not attack others. Please start with yourself by not telling me how I should be spending my time. Let’s focus on the topic and have discourse on the actual focus of the article that I wrote, rather than vague discussions about personal ideologies. Casey, I agree that we have no scientific evidence to prove that any particular form of animal advocacy is more effective than another. At the same time I concur with Jean B.when she says peer-reviewed publications are incestuously selective.As we all know,so called ‘experts’ within the same scientific field often come to different conclusions,publish conflicting evidence which leaves the public at large even more bewildered and confused. Personally I do not think we need ‘experts’ to tell us how to become effective animal advocates/campaigners-what we need is common sense,a bit of intelligence and discretion as to how we approach members of the public,trying to ‘home in’ and see what makes them tick to get the vegan journey rolling.Above all, we need to ‘normalise’ veganism in our daily lives/encounters with others, it doesn’t matter if we are in the minority! Sadly, I have seen animal advocates being quasi apologetic about their lifestyle and ethics whilst mixing with meat-eating family members. I too believe that the vegan message must be fundamental to our advocacy,but approaches can be multi-faceted ,and we also need to work towards changing laws and policies to advance the legal status of animals.Anything that speeds up the end of our exploitative attitudes and behaviour towards animals can only be welcomed-none of us can be certain which strategies will work best or are most effective in the long run. Hi Hella, I agree that just because something is published does not mean that it is factual. That is very true. Published research can also be biased and problematic. I also agree that regardless of what any kind of research might tell us, we should be promoting veganism and an end to the property status of nonhuman animals. When we talk about “cutting down” on animal use rather than ending animal use, we are undercutting our efforts to change the way society views animals. So yes, I agree with you, but at the same time, my biggest criticism in this article is the misuse of the language of effectiveness and of science. These words are thrown around to bolster arguments despite the fact that there is no scientific evidence at all. First, are you really saying that there is not a single case where we currently have sufficient evidence for comparing the effectiveness of different organizations? For instance, imagine a case where research into an organization’s financial information reveals that there is a substantial amount of waste and only 10% of the annual budget goes toward helping animals. Now imagine we compare that organization to another with the same goals and we find that there is little waste in the annual budget and upwards of 90% of it ends up being used to help animals. Are you saying that even in such comparative cases we lack any “evidence to indicate that any organization is more effective than any other”? I.e., What’s the scope of your claim here? Second, while you might be correct that there is not a single published piece of “credible, peer-reviewed quantitative scientific evidence” for determining when one animal advocacy organization is more effective than any other (a claim which you have not defended, though), are you also saying that no studies in other fields—from economics, to social movement studies, to sociology, to marketing research, and so on—are relevant to evaluating the effectiveness of organizations? Organizations like ACE and GiveWell frequently draw on fairly basic and well-confirmed studies in economics to make comparative and evaluative judgments about the effectiveness of certain methods or organizations. Are you saying that no studies in any field—from economics to sociology, etc.–count as relevant “credible, peer-reviewed quantitative scientific evidence” useful for making judgments about the effectiveness of organizations or methods? On a more general note, as I’ve read your posts on this blog it seems you sometimes drastically overgeneralize your claims, and it is not usually clear whether you mean to overgeneralize or are being hyperbolic, or something else. This might be one such case. For your first claim, I don’t believe that this is the kind of data that is being promoted by Animal Charity Evaluators. They emphasize “effectiveness” research showing that an organization reduces violence towards animals. Again, it seems that all of the rebuttals to my article involves hypotheticals rather than actual facts. Second, I happen to publish heavily in a field where we actually evaluate the effectiveness of our programs via randomized clinical controlled trials. I have spent the past 8 years of my life as principal investigator of two multi-million randomized trials, funded by the Centers for Disease Control, Department of Defense, and Department of Veterans Affairs. The reason I conducted this work was to demonstrate that my domestic violence prevention program, “Strength at Home,” could be considered “evidence based.” We showed our program worked better than treatment as usual which then allowed me to say it was empirically supported. This was after three pilot studies where we showed the program to reduce violence, but without a randomized controlled trial, we could not make definitive conclusions. In the professional science world, we don’t say something is effective until we do randomized trials. In the animal advocacy world, as I’ve discussed, not only do we not have randomized controlled trials, but we don’t even have any non-randomized trials that even suggest that “reducetarianism” is effective. In fact, the evidence that is out there is to the contrary. So my point is that we are very far from saying anything is effective. We have non-scientists doing “research” in a very biased and pseudoscientific manner and a lot of folks throwing around the language of effectiveness without any basis for understanding what that means. It’s a mess and as a researcher, I find it troubling because it ultimately hurts the animals we are supposed to be advocating for. Also, just for the record, even if one of these groups came out with a study today that suggested that they had evidence for their approach, I would doubt its credibility. Thus far, what I’ve seen is incredibly biased work that is clearly trying to advance an agenda rather than objective science. Some of this research draws conclusions that are the opposite of what the data seem to say. When I did my randomized trials recently, all study staff were completely blinded to the treatment condition participants were assigned, we had a data safety monitoring board to ensure proper use of the data, and we had outside observers rate the treatment integrity across conditions. We made every effort to ensure that our work wasn’t biased. This is what real science looks like- an objective effort to arrive at some truth. Also, no single study would be considered definitive in any other truly scientific field of study. We would need an entire body of research and replication of findings. Regarding your last point about my drastically overgeneralizing my claims, prove it. I have been very measured in my criticisms. In fact I’ve understated them. You have not written a single thing to suggest that anything I’ve written was untrue or exaggerated in the slightest. I was kind in my critique. Hi Casey, it seems like you’re saying that the problem is not with focusing on effectiveness per we, but just doing it wrong. A good practice is to publicly state what evidence it would take to convince you. For example, would you be convinced that focusing on reducing meat intake rather than hardline promoting veganism with no compromise is more effective if there were a peer reviewed, longitudinal, randomised controlled trial demonstrating so with a high degree of statistical significance? It would be good to have you say so publicly so advocates of effectiveness have a clear way of convincing you. At the end of the article, I referred to the limitations of science. Of course no single study could not be considered definitive- replication would be needed- but beyond that I don’t believe that any single study could truly answer the question of effectiveness. We would really need to look at lifetime outcomes and the effectiveness of our approach should not just be determined by what happens at the individual level, but also at the larger community and societal levels. I believe that when we ask others to only reduce their animal exploitation, we are validating oppressive societal practices making the end to our collective animal use not possible. That’s of course a difficult thing to assess. So I think having a study like you describe would help to begin to build an evidence base, but it would not convince me that one approach was more effective than another. It would be useful information, though. Unfortunately, it would also matter to me who was carrying out the research. So far I’ve seen so much bias in the research out there that I don’t have a high degree of trust that the work would be done in an unbiased, scientific manner. The language that many of these researchers used, such as your own suggestion that promoting veganism is “hardline” and involves “no compromise” indicates a worldview that may creep into the study design, impacting results. I recently read your book, and found it had a clear message and was obviously informed by your own practice in clinical psychology. It’s great to see someone from a scientific discipline so engaged in animal advocacy. Apart from the fact that you mentioned your work, however, I wasn’t particularly convinced by the evidence in the book. The analogy between domestic abuse and specism and your induction of general laws for advocacy from domestic abuse psychology wasn’t for me particularly ‘effective’ (to use the word you warn against here to refer to an analysis of your logic, and logic with a minute body of evidence or data is how you frame your argument). Scratch the word ‘effective’ and we can just talk about evidence, and what evidence and refereed papers you use to support your views of advocacy and how it can best change behaviour. I was surprised that in your book you completely ruled out extensive evidence out there for what works in advocacy and focused only on the discipline of clinical psychology. You even narrowed in on one form of treatment which also wasn’t itself supported by any compelling evidence; it was notable that you never talked about randomised control trials in your book. You ignored all evidence from marketing and social science about behavioral change, such as the extensive peer reviewed publications listed in the World Resource Institut’s guide to sustainable diets here – http://www.wri.org/publication/shifting-diets – or in studies that show what kind of advocacy works best in certain settings, which suggest evidence-based education is one of the most effective actions out there in an activist’s tool kit: http://blogs.lse.ac.uk/impactofsocialsciences/2016/05/17/for-activists-disruption-gains-attention-but-education-changes-minds/ or studies that show how effective welfare stories are in changing meat consumption: Tonsor, Glynn T., and Nicole J. Olynk, “Impacts of Animal Well-Being and Welfare Media on Meat Demand,” in the Journal of Agricultural Economics, Volume 62, Issue 1, pages 59-72, February, 2011. Again, these are all fully refereed studies that analyse data. I am not sure what kind of clinical study or “randomised control trial” you are imagining for advocacy, but conflating one method in psychology – RCT – with all scientific method or a peer reviewed standard of evidence should be avoided. The study of evidence to determine what is effective is widespread in disciplines, including health sciences. I have not yet seen and animal advocate out there claiming scientific consensus. But there is a convincing body of evidence out there that currently supports welfare and small step education as shifting meat consumption – and no evidence beyond abolitionist’s own truth claims that they are not effective. No one should be faulted for seeking the truth about what works best in advocacy by consulting (rather than ignoring as you do in your book) evidence, or for favouring new approaches in advocacy beyond the Gary L. Francione orthodoxy. If evidence suggests that these forms of advocacy work in shifting the consumption of animals or transforming or gradually eliminating animal industries, then on what basis should they be considered to do harm to animals? The goal of any change agent in animal social justice should arguably be an evidence-based attempt to end their suffering and liberate them from oppression, not to simply ensure that people are life-long vegans. The evidence for vegan lifestyle as the one and only (for all time) way to achieve social justice for animals simply isn’t there, even if it could be the logical endpoint of the abolition of animal agriculture. Finally, I could speak more about the abuse of moral philosophy and the language of philosophy (given my ‘professional’ training in humanities) that goes on in Francione’s fashion of vegan advocacy, but I think that’s enough here. Thank you for reading my book. I try to be very clear in my book that I’m not basing anything on research in animal advocacy because such peer reviewed research hasn’t been conducted. This massive research literature you’re pointing to doesn’t really exist. The link you posted doesn’t provide any peer reviewed evidence for how to engage in vegan advocacy. It just refers to how eating more plant-based foods is good for the environment. No kidding! Anyways, in your comment here you’re doing exactly what I suggest we shouldn’t do. You are misusing the language of effectiveness and misusing science. I don’t do that in my book. I wrote about how there is really no research literature to speak of for animal advocacy, but in the clinical psychology field, there are some basic rules of behavior change that are tried and tested. I use my work with violence prevention as an example because it’s illustrative, and it also happens to be a lot closer to animal advocacy than marketing home energy use. Helping people end violence towards humans and animals does involve some commonalities, as I’ve observed from my own experience. But nowhere do I say that a literature among domestic abusers proves with empirical evidence that we should be doing the same thing in animal advocacy. You’re misrepresenting my points to try to make points of your own, which again is dishonest. An article about how “welfare stories” lead to change in meat consumption does not really tell us much. The reason I write about the importance of randomized controlled trials is because that’s the only way to really say that one strategy works any better than any other. That is accepted in the scientific literature. We can’t make broad claims about effectiveness of any one approach relative to another if they’ve never been directly compared. That’s just science, and also common sense. The science out there is nonexistent despite the claims made by some. It tells us almost nothing. If you’d like to send some peer reviewed compelling papers to contact@veganpublishers.com I’d be glad to take a look, but I’ve seen nothing of much value. Moreover, I disagree with your basic premise that we are going to solve our animal use problem through research, particularly since most of the ongoing research out there literally promotes speciesism. I believe that the most important thing that we need to do as a movement is to view our animal use as an issue of social justice. I think we should start from the position of animal rights, such that we promote the view that all animals should have the basic right to not be used or killed. This research enterprise is rooted in, and actively promotes, “reducetarian” views of animals which can only do harm because it confirms speciesist norms. If those doing this work started from a place of animal rights, and then worked from there to figure out what works best in advocacy, I’d have more confidence that there was some promise in this endeavor. And please, if you want to have an honest discussion with me, don’t invoke Gary Francione. He’s used as sort of a boogeyman to paint other animal rights activists in a negative light. I’m not Gary Francione and most of my book focuses on the process of change and other things that he never touches. Francione regularly attacks me. We are not friends and disagree about many things. Thanks for a thorough reply! You’ve given me plenty to think about here – as your book did, btw. I will avoid Gary Francione remarks, and I have no doubt he has disagreed with you. I don’t think I was being dishonest by asking a question related to evidence in your book. My point was that randomised control trials in clinical psychology relating to a different issue do not necessarily provide any more compelling evidence for why your views are superior to other views. I was looking for evidence to support animal rights, and for the best actions to take in stopping violence against animals. On both counts, I couldn’t find that your arguments were more scientific than anyone else’s in the vegan advocacy movement, or why your approach should rule out evidence or what you call “commonalities” e.g. from marketing or from other fields. This is not necessarily a bad thing in my view. It’s just that why should you then criticise any attempt to look for evidence to support taking an action as an abuse of scientific method? The first link just had a bunch of peer-reviewed literature to support its arguments about land and resource use that support a switch to vegan diets. It’s an example where an organisation supports its advocacy with evidence. What is wrong with this? Is it an abuse of science to look at evidence and literature in the field? Everyone who does research does this. But what if I had linked to Faunanalytics’ randomized controlled trial of the impact of Animal Equality’s videos this year? https://osf.io/7wh93/ Would this be the superior form of evidence you would finally trust and would it change how you disseminated videos? Why is only this evidence relevant to forming any views about how to act and not, say, other methods of analysing evidence? I find looking at evidence and research as important part of a solution. I wouldn’t say it is the basic premise that will solve the problem, because it may question any assumptions I have about exactly how to solve the problem. The assumption that you are (or I am) less speciesist than others is one of them, or that the premise of all and any action has to be animal rights and anti-speciesm. What evidence do you have to suggest that what you promote is actually less speciesist than other research? That it leads to outcomes that are better for animals? And other than asking questions of these nature, I would define the problem in a similar way to you: the problem is that animals are oppressed, exploited and made to suffer.